The American River College Instructional Technology Center provides workshops and resources to support efforts to ensure that instructional resources are created to comply with the Americans with Disabilities Act (ADA) and Section 508 of the Rehabilitation Act of 1973. Right now, there are many more options than ever before to learn how to make your online and classroom content accessible to all students and staff. See our page for Accessibility Training opportunities that are currently available. Videos are accurately captioned (see DECT grant information below). Objects (including images, tables, and charts) have alternative text. Course materials are “readable” in terms of effective font, color contrast, and spacing. Documents are created in such a way that screen reading software is able to “read” them (for example: styles are used; column header rows in tables are specified, and so forth). Color is not the only method used to convey meaning. Perhaps the most discussed aspect of accessible video is closed captioning, but information about captioning can be confusing. ARC offers three clear options for captioning. Searching for Captioned Media within YouTube and Google Video instructions from Portland Community College. How to Create an Accessible Office 2013-2016 (PC) File instructions. How to Modify Styles Office 2013-2016 instructions. How to Create an Accessible PowerPoint 2013-2016 instructions. How to Create an Accessible Office 2011 (Mac) File instructions with images from UCOP. 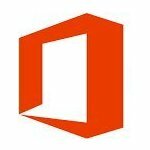 Office 2013 Accessibility Tutorials from Microsoft. Creating Accessible Documents short video highlighting basic techniques for creating accessible Word, Excel, and PowerPoint files. Creating Accessible Files in PowerPoint instructions by the San Francisco State University Center for Teaching and Faculty Development. Google Docs Accessibility instructions from Google. 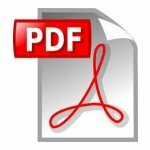 How to Convert an Accessible Office file to an Accessible PDF instructions with images. Accessibility Checker Tool for Adobe Acrobat that you can download and add to your own copy of Acrobat. 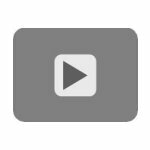 Create and Verify PDF Accessibility using the Make Accessible Action Wizard tutorial from Adobe for Acrobat DC. Creating Accessible PDF Documents free webinar from @ONE for Training. Accessibility Checklist from Penn State provides steps for developing or modifying web-based course material. 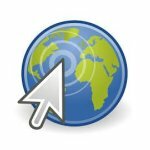 WebAIM: Web Accessibility in Mind provides a WAVE Web Accessibility Tool that allows you to type in the URL of a web page to check its accessibility. 2015 Roadmap to Web Accessibility in Higher Education white paper from 3PlayMedia. 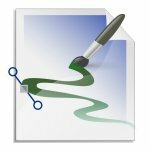 Convert Word Documents to Clean HTML tool. Colblinder Coblis — Color Blindness Simulator is a tool that shows how different colors appear to people with color challenges. Using Text with Images instructions by Jim Thatcher. 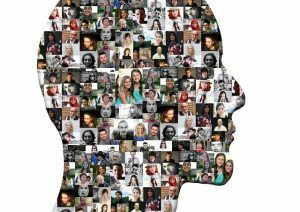 Creating a flexible online learning environment that meets the individual needs of all students is possible by developing a course based on the principles of Universal Design for Learning (UDL). Universal Design for Learning definition and tips from ITC. 7 Things You Should Know about Universal Design for Learning article from Educause. Access to Postsecondary Education through Universal Design for Learning from Colorado State University, includes tutorials for creating universally designed Word and PowerPoint files. Online courses must be designed to provide access to students with visual, auditory, and physical impairments, as well as students with information processing differences. California Community Colleges Distance Education Accessibility Guidelines (PDF), January 2011. Section 508 Checklist from WebAIM. Visit the following links for “How-To” videos, checklists, tools, and tutorials.